EM4124 UHF EPC GEN2 RFID inlay designed to offer long read rang in a wide kinds of logistics and inventory applications. Featuring at the same time a slim form factor that makes the EPC GEN2 tag fit narrow box sides and spines. We offer EM4124 dry inlay and wet inlay. EM4124 can be a certified EPCTM Class-1 Generation-2 (Gen2) IC and compliant with ISO/IEC 18000-6:2010 Type C. Each chip is done using a 64-bit Unique Identifier to be sure full traceability. The EM4124 has 176 pieces of non-volatile memory (16 bit PC Word, 96 bit EPC Code, 32 bit Kill Password and 32 bit Access Password), enabling the support of ISO or EPC data structures. Each chip is delivered which has a 96-bit EPC encoding with pre-encoded support for Multi-vendor Chip-based Serialization (MCS). EM4124 achieves a normal read sensitivity of -19 dBm at the chip level, which translates into an average -21 dBm sensitivity in the tag level to get a dipole-like antenna with 2 dBi gain (25us TARI, 250 kHz BLF). 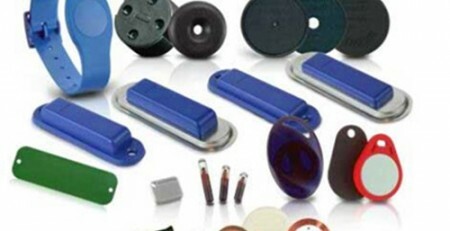 STARNFC is a supplier of RFID inlay including RFID wet inlay and dry inlays. All the inlays can be made of RFID labels and RFID tamper proof label. All the labels can be printed and encoing.